That calls for a special post. It's back to the Houston Zoo photography day. It rained lightly all morning. Their status is seriously threatened globally due to hunting, poisoning, habitat destruction and improved stock management. The international trade of this species is regulated by law, since it may become endangered without regulated trade. These vultures build their nests in trees and on cliffs high above the ground, using sticks and twigs as building materials. Males and females cooperate in rearing young. This particular vulture was hatched in captivity in a special breeding program. The Houston Zoo is well known for its amazing birds, many of which are never on display -- behind the scenes in special breeding programs in an attempt to maintain the particular species. If you enlarge on the photos, you'll see this bird liked the rain! 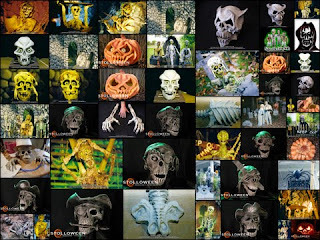 Be sure to check out other critters at Camera Critters! Postcard Friendship Friday is hosted every week by our lovely postmistress, Marie. I wanted to come up with something special for Halloween. I picked three of my favorites that said Halloween to me. 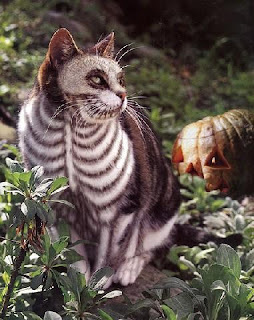 This is Bone Voyage, 2000, vegetable dye and neutralized bleach on Bruno, tabby and white shorthair moggy. T. Yates, SanFrancisco. The back of the postcard reads: "Zeno Baron's work conforms to Braque's requirement that art should disturb, to say nothing of making you jump out of your skin. It was once described by a critic as being "...on the teasing edge of macabre with an increasing tendency to fall right off." But Baron refutes such detractors by saying they're "shallow," and "afraid to engage with the inner message." 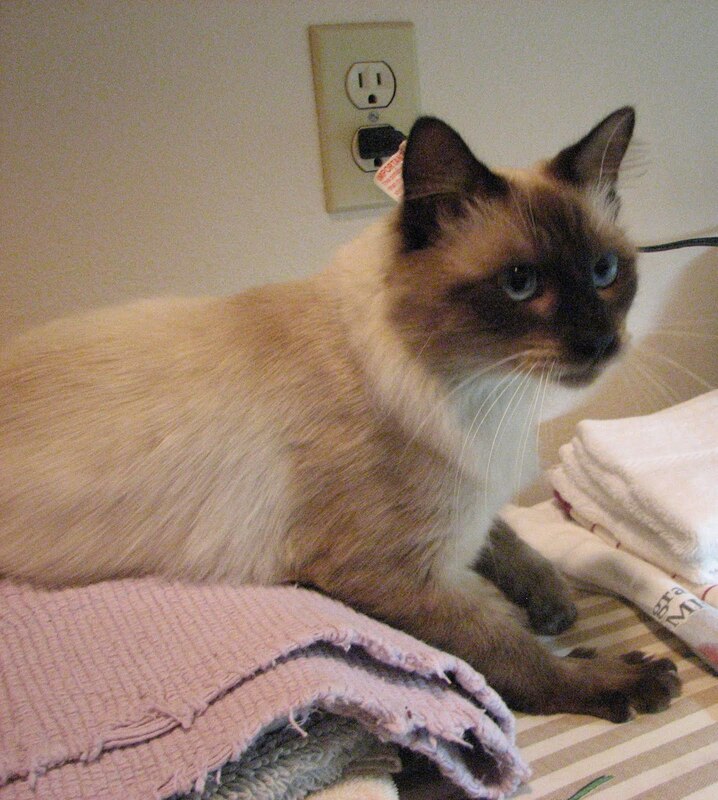 Miss Chatreuse, 2001, Vegetable dye on Stella, white moggy. P. Knight, Toledo. 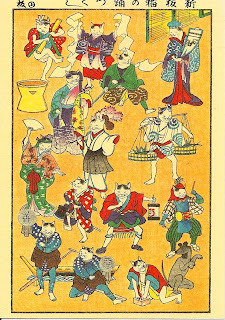 The back of the postcard reads: "Robert Geldzahlor's cats are designed to be a celebration of female night sports with all the glitzy jewelry, makeup, and weapons of mass seduction beautifully painted on their silken attire. They preen, they gossip, they stalk their prey, and provide a vivid reminder of the animal that lurks within us all." Heavenly Bodies, 2001. 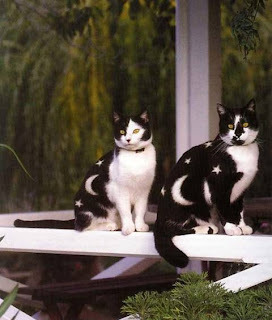 Organic peroxide on Blackie and Patch, black and white moggies. D. McGill, Edinburgh. The back of the postcard reads: "Kate Bishop works quickly using stencils and an electrostatic airbrush, to position images at the correct height so they can interact with images on other cats. As the cats move about in a confined, space, the images merge, becoming partially obscured and transformed in a vast orchestration of rapidly changing random forms, each one representing the sum of its infinite possibilities. This work has been described as representing a significant advance in the celestial-bestial chromosphere." From the back of the book: "Cat painting, once the preserve of a few Midwest American artists, is becoming so mainstream that it's possible to see a cat being styled and painted in a specialized beauty salon or competing for "Best Painted Cat" at a pet show. In other cultures it's not so new. 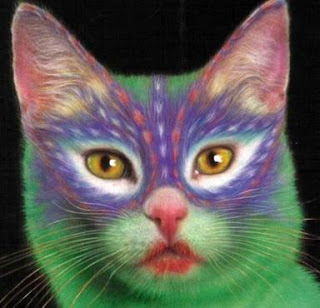 people paint their cats in India and Japan and if you traveled to Ayuba, an independent territry of Botswana in the Okavango Delta, you would find the local Bayeyi people using bark dyes to paaint butterflies on their cats' faces." The one thing I know for sure, I've never lived with a cat who would stand for being painted. Having a portrait done is one thing, but actually being painted -- NO WAY! I hope you all have a Happy Halloween. There are mysteries of all kinds, covering all sorts of interests, for all different readers. There are hard-boiled mysteries, Noir, urban fantasy, cozy mysteries and all sorts of combinations. There are mysteries for readers who like to cook, who like to read, who like scrap booking, tea drinking, falconry, needlepoint, collecting antiques. You get the idea. How about for collectors of teddy bears and knitters? You bet! DIED IN THE WOOL: A Knitting Mystery by Mary Kruger is the first in a series of cozy myteries. Ariadne Evans is the proud owner of her very own knitting shop. She enters her store one day to find longtime customer Edith Perry strangled to death with homespun yarn. Now Edith wasn’t the easiest person to get along with so there is a long list of suspects. Detective Joshua Pierce, may or may not have designs on Ariadne (a little romance never hurts in a cozy mystery). Ariadne decides to do some sleuthing of her own. Hopefully, the killer isn’t as crafty as she. I’m behind the times as this book was first published as a paperback in 2007. I thought it was well done and I like the characters -- something that is very important in cozy mysteries -- and I’d like to visit Ariadne in her shop. I do love yarn and the description of the purple heather hand spun, hand dyed yarn used to kill Edith really sounds lovely! There are several more books in this series and I’m looking forward to getting to know Ariadne and her friends better. THE CRAFTY TEDDY: A Bear Collector’s Mystery by John J. Lamb is the third book in this “sort of cozy” police procedural. I say sort of because Mr. Lamb is a retired homicide detective and hostage negotiator. He has all the police procedural part of the books down to a science. He and his wife collect teddy bears (at last count had over 600), so he also knows the teddy bear business. Definitely an interesting combination and one I have really enjoyed. The peace of the Shenandoah Valley is shattered when an intruder breaks into the Lyon home and makes off with the antique Farnell Alpha teddy bear -- one of the most celebrated stuffed animals in history, and also Brad’s gift to Ash on their twentieth wedding anniversary. These are fun books. Well written and fast paced. Not too cozy or too hard-boiled. Brad and Ash, Tina Barron the County Sheriff and Sergei Zubatov (Brad’s best friend and the owner of Pinckney’s Brick Pit barbecue restaurant and former Soviet military attache -- or, in other words, spy) are all wonderful characters. Add the great information about bears (there are always ideas about where to buy bears and usually a bear artist or two are featured in the books) and a well written mystery -- well -- it’s the perfect brain candy for a rainy afternoon. I’m glad I have two more in my stack! Even a rainy day brings JOY! It's back to the Houston International Quilt Festival. I'm a fantasy lover and a dragon lover. These quilts sang to me! But it was the critter in the bottom left corner who waved to me. I'd like you to meet Lizzie! the dragon's name is Lizzie. I fell madly in love with this wise old dragon. Dillinger based this quilt on the amazing needle work of Teresa Wentzler. Click here to view all participants of My World Tuesday. 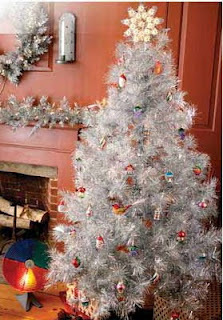 Do you remember these from Christmas past? The tin harmonic top hums as it spins. complete with a color wheel light! Pull on the string and his nose lights up! 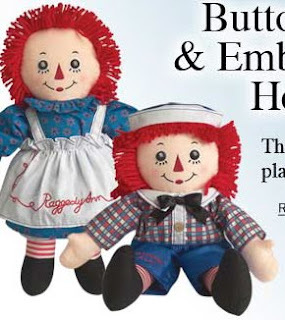 All these wonderful, nostalgic goodies from Vermont Country Store. What do you think? I tried very hard to come up with words (except for dream) that were a little different. I have favorites -- adventure, boost and seek. I have a few more months before I make a decision. That's enough mulling for today. Have a wonderful week. Get out the papier mache! It's back to the Houston Zoo and Photography morning. The Houston Zoos Masai giraffe herd has grown to 7 with the addition of a bouncing baby boy. The calf was born to mom Tyra shortly after 8 a.m. on Monday, August 10. Tyra went into labor around 6 in the morning and the calf was standing and nursing by 9 a.m. Tyra always delivers big babies but this big boy stands a bit over 6 feet tall. Tyra is 11 years old. Kiva, the father is 13 years old. While Masai giraffes are not threatened or endangered in their native habitat, there are only 88 of them in North American zoos. Giraffe breeding at the Houston Zoo follows guidelines established by the American Zoo and Aquarium Associations Population Management Plan (PMP) program. PMPs have been developed for selected groups of animals to manage breeding of captive populations in order to maintain healthy, self-sustaining populations that are both genetically diverse and demographically stable. Giraffes are the tallest living terrestrial animal. When full grown, this little guy will be about 17 feet tall and can weigh in at 3,000 pounds, while an average female is over 14 feet tall. Cute little fella! He posed for us for a very long time. I've included the You Tube video of this little gentleman's birth. If you are squeamish, don't watch! Postcard Friendship Friday is brought to us by our wonderful Postmistress, Marie. We have friends who traveled to France this last September. They sent us this beautiful postcard. Notre Dame Cathedral is certainly impressive. But it was the message on the back that got a few smiles from us. ... wait, who am I kidding ... the wine! 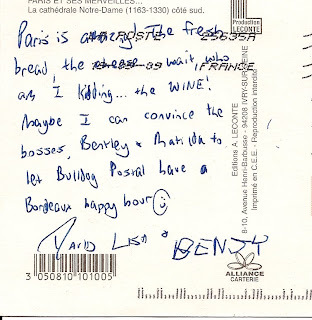 to let Bulldog Postal have a Bordeaux Happy Hour!" Here's to wine and mail call! 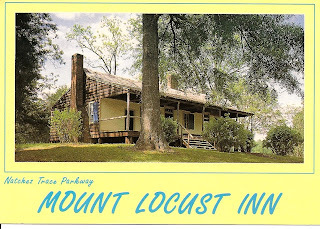 Be sure to visit Postcard Friendship Friday. Be sure to visit My World to see more of our world or to participate yourself. I love this time of year in Houston. There's so much to do -- too much! We girls always have a good time together. We were wowed by what we saw. It was a hard decision just deciding where to start! and was the grand-prize winner. Caryl Bryer Fallert from Paducah, Kentucky is the artist. there is freedom to make new choices and try new things. the past, which must be left behind in order to move forward." this quilt called Beyond the Horizon today. 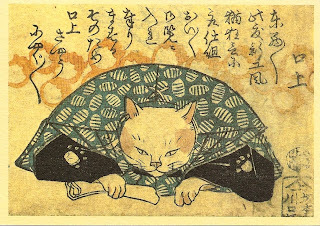 It is based on one of Kim's favorite woodcuts. Mary Ann Hildebrand of Comfort, Texas. husband's challenge to do the design. 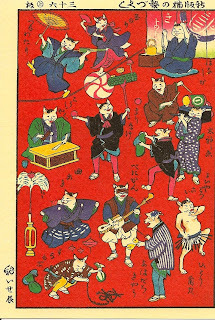 It is based on an early woodcut." There was a whole section of quilts made by Canadian artists. is called "Touque (tuk) n. a neat word for a hat, eh?" It made me smile. Fun, isn't it?!!! I would think a knitted hat would be indispensable in Canada! This is just a glimpse. There are more for another day! There's so much excitement in Blogland. Halloween is coming and there are parties everywhere. The lovely Ms. Vanessa at A Fanciful Twist is the hostess with the mostess for her annual party. It just so happens that it falls on Camera Critters day, so I have combined these two fun events. I hope you'll visit Ms. Vanessa and all the other party goers and visit Camera Critters to see all the wonderful critters around the world! 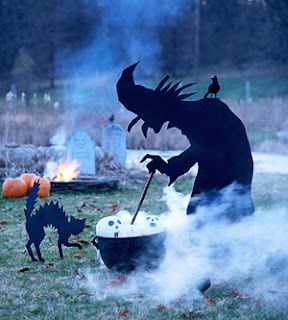 The witch is busy cooking up something defrightfully good. he's back for another year. he invited a few of his friends to join him. The only catch -- they had to bring Halloween jokes for you! Here's Snoopy with his crystal ball and tarot cards. It wouldn't be fair if he didn't bring a joke, too. "What happens when a ghost gets lost in the fog?" This is Jack The Jester. He'll do tricks and tell a few jokes. "What kind of tie does a ghost wear to a formal party?" "Where do vampire children eat their lunch?" a few magic tricks. Until then -- a joke?!! "Why did the skeleton cross the road?" "To go to the body shop." "How do ghosts take their coffee?" Merlin the Magician is happy to join us. "Where do goblins get their lottery tickets?" "Why don't ghosts like to play sports?" Our delightful postmistress Marie arranges Postcard Friendship Friday. a wonderful way to remember our trip. There is a Fall Pilgrimage in Natchez every year. 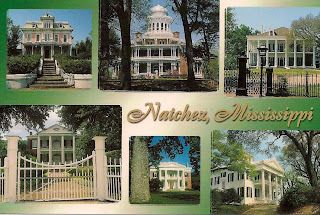 all historical mansions in Natchez. 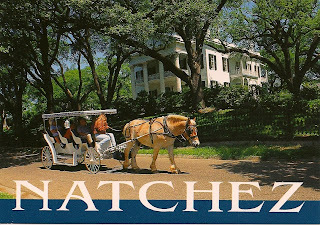 This post card reads: "Riding in a typical 'surrey with the fringe on top' is a grand way to see the elegant antebellum mansions in downtown Natchez. Many are situated on the crest of a hill, so that they are pleasingly displayed." driving to Natchez along the Natchez Trace. The back of this card reads: " During the late 1700's and early 1800's thousands of travelers walked the Natchez Trace, a primitive pathway through the Choctaw and Chickasaw Indian Nations. The trip of nearly 500 miles between Natchez and Nashville required as much as four weeks. 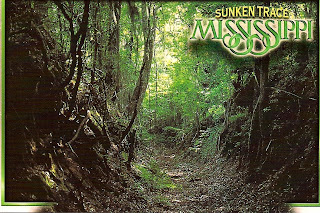 In places the trail was eroded deeply into the land giving rise to the term 'sunken trace.'" The Trace is now a two lane parkway that winds its way to Natchez from Tennessee. The speed limit is set at 55. There are no conveniences along the road except for an occasional rest stop with "facilities". No gas stations. Very little traffic. You have Mother Nature all to yourself. Lots of wildlife. It is beautiful. "Inns were erected along the Trace with encouragement from the Government, and were usually run by half-breed Indians or white men with Indian wives. The Parkway is administered by the National Park Service, U. S. Department of the Interior." I hope you enjoyed this short visit along the Trace to Natchez. 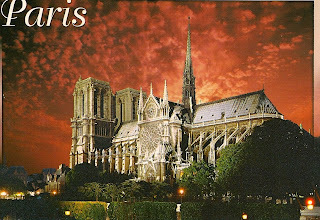 Be sure to visit Marie for other Postcard Friendship Friday posts. So, Where IS the Memory Card? Mr. Dragon and I went to a book signing last night at Murder By The Book, one of the few remaining independent booksellers here in Houston. One of our favorite authors, Louise Penny was signing her latest Inspector Gamache book, The Brutal Telling. I grabbed the camera and out the door we went. 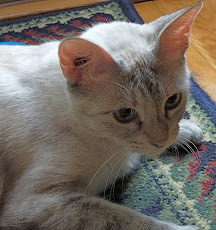 Well, when I started to take a photo of Ms. Penny --- my beloved camera said *no memory card*. What? That can't be! I looked at Mr. Dragon. He looked at me. Shrugged. But it was true. 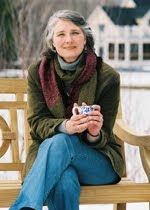 So, here I am, borrowing a photo of Louise Penny from her website. Chaos is coming, old son. With those words the peace of Three Pines is shattered. As families prepare to head back to the city and children say goodbye to summer, a stranger is found murdered in the village bistro. Once again, Chief Inspector Gamache and his team are called in to strip back layers of lies, exposing both treasures and rancid secrets buried in the wilderness. No one admits to knowing the murdered man, but as secrets are revealed, chaos begins to close in on the beloved bistro owner, Olivier. How did he make such a spectacular success of his business? What past did he leave behind and why has he buried himself in this tiny village? And why does every lead in the investigation find its way back to him? As Olivier grows more frantic, a trail of clues and treasures- from first editions of Charlotte's Web and Jane Eyre to a spider web with the word "WOE" woven in it-lead the Chief Inspector deep into the woods and across the continent in search of the truth, and finally back to Three Pines as the little village braces for the truth and the final, brutal telling. What came out surprised them all. A Celtic lament left the bow, left the violin, left the agent. It filled the cabin, filled the rafters. Almost into the corners. The simple tune swirled around them like colors and delicious meals and conversation. And it lodged in their chests. Not their ears, not their heads, but their hearts. Slow, dignified, but buoyant. Agent Morin had changed….His eyes were closed and he looked the way Gamache felt. Filled with joy. Rapture even. Such was the power of this music. Of this instrument." Interesting, yes?!!! I loved meeting Ms. Penny. She is witty, fun, lovely, intelligent. She told us wonderful stories. Said the first Gamache novel took her 45 years to write. The second one, three months -- after spending a year on it and throwing the manuscript away and starting over. Her books are *classical* mysteries. Just one murder per book. Each book filled with characters -- some you want to meet in real life -- others, no thanks, but each interesting, with feelings, problems, histories -- just like all of us. And, compassion ... Gamache is amazing .. he has been through much in his life -- you can just tell, even though, so far, we don't know a lot about his past. These are not cozy mysteries. Psychological police procedurals would be a better category for them. I can't recommend this series enough. You Canadians are lucky to have her! Thanks for sharing her with the rest of us. Get ye to a library or bookstore and look for her books ... read them in order (Still Life is the first) and enjoy! I think I've mentioned before that we are baseball lovers. and the last game of the season (for us) with the Astros. It was a beautiful day and the roof was open! and get a real charge seeing *our* boys play in the major leagues. with Paul Janish (short stop for the Cincinnati Reds). Both of them played for Rice U Owls. Lance was the college baseball player of the year. Paul was on the 2003 team that won the college world series. I wonder what they were talking about? !!!!! It was Friday night and the last fireworks of the season. It seems like years ago when I first heard. then sent it adrift, out into to the world looking for a new home. Guess what? I found one. It was sent to me by a friend in California -- another mystery lover. It started its voyage around the world first in Seoul, South Korea. I went to Book Crossing to see where this book had been and only the original releasor and I had made any comments about the book. I wonder where it's been? The book, you ask? The Thai Amulet: An Archaeological Mystery by Lyn Hamilton. One other thing. Book Cross was added to the Concise Oxford English Dictionary in August 2004 as a noun with the definition: n. the practice of leaving a book in a public place to be picked up and read by others, who then do likewise. 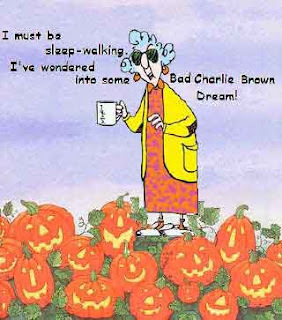 Since Halloween is just around the corner, I thought I'd leave you with a little wisdom from one of my favorite characters, Maxine. 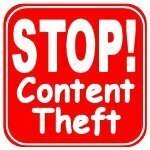 This was in an email sent to me. Enjoy! Postcard Friendship Friday is made possible by our delightful Postmistress, Marie. Every year a Japanese Festival is held in Houston's Hermann Park. It includes food, music, bonsai and lots of vendors. One year, I found these postcards. 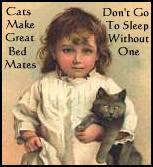 I love cats and couldn't pass them up. The backs of the cards simply say: PostCard. and see the wild and crazy card Marie has posted!